I was once a future Olympian. Weren't we all? When I was seven, my dream was to become an Olympic swimmer. I swam laps relentlessly, burning off excess childhood energy that, if bottled, would be the finest wine to me now. I've recently been informed that I was a terror; a spoiled child who played my divorced parents like a fiddle. The only person who had patience for me was my older cousin Craig. 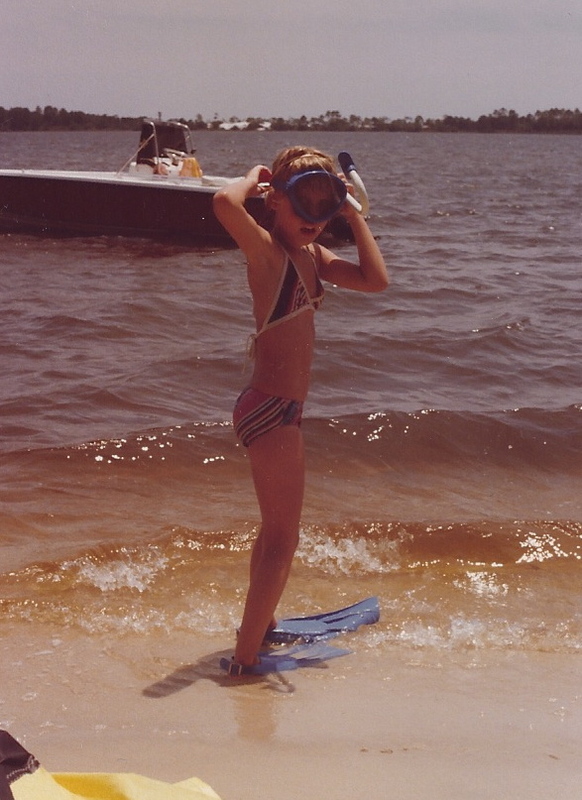 He indulged me for hours with his stop watch as I swam on and on in our Papa's Palm Beach pool, confident that my Wonder Woman bathing suit was shaving off time. Did Craig maybe believe in me? Did he think I could be an Olympic swimmer? No one ever said, and my dream slowly died, as I outgrew my chlorine faded Wonder Woman suit. Beginning last Friday, tracks all over the country celebrated the upcoming 2012 Olympics by offering Olympic Day. Racing was free for all, along with complimentary one-day USA BMX memberships for new riders. 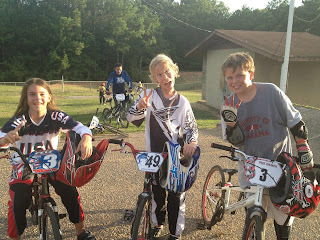 On Saturday, our family participated with our friends at Circle City BMX in Dothan. There was a good crowd and energy in the air. To add to the nostalgia the Olympics invariably invoke, the "Chicken Dance" blared, sending the kids onto the track to shake their tail feathers before taking their bikes into staging. 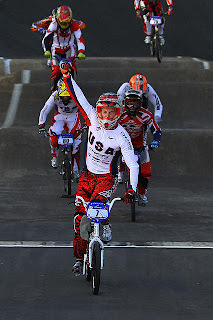 "Britt never thought much about the Olympics until he started racing BMX 3 years ago. Because he participates in BMX and it's an Olympic Sport he's actually followed it more this year than in the past and not just the BMX stuff. He's become fascinated with the process that one has to go through to qualify for the Olympics. And how hard it is to get there. He has the lofty goal of getting there someday and representing the US. Watching Barry (Nobles) barely miss out making it opened his eyes to just how hard it really is. He looks up to Barry, Connor (Fields), Mike Day and the rest. In Britt's perspective, the Olympics has gone from being an after thought to something he has begun to appreciate. It's now a goal of his one day to stand on that podium and hear the National Anthem played. Big dreams, little guy doesn't understand just how hard it is to get there." "The Olympic games are a way for a person or a team to represent their country by competing against the best athletes from other countries in the sport they love, in the biggest race in the world. There is such excitement about supporting USA because of the freedom we have that makes living in the USA so great. 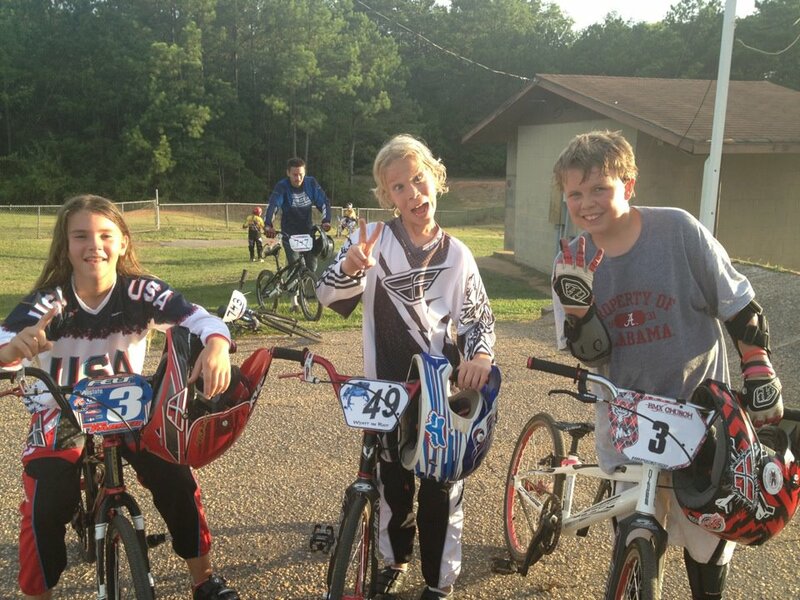 This year it's even more exciting and meaningful because the sport Warren loves most, BMX racing, is in the Olympics. The fact that Barry (Nobles) was competing to go made it even more meaningful. Although Barry didn't make the cut, Warren's looking forward to watching and cheering on team USA. 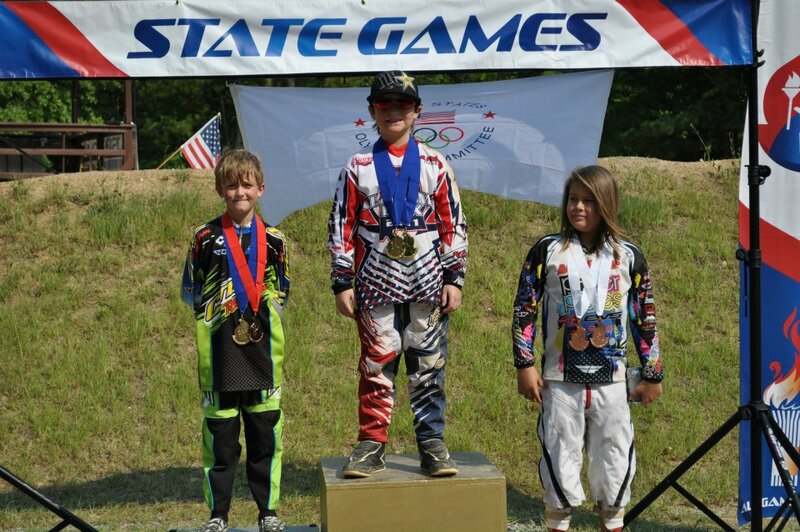 Warren hopes to have the chance to go to the Olympics one day & race BMX for team USA." participating in the Olympic Day race at Weaver BMX (Alabama). Warren hopes to race in the Olympics one day. Will there be two Olympics for Connor Fields? Ever since our time in England for BMX World Championships, the Olympics have been a hot topic in our home. We know the young men and women who earned their positions on Team USA will represent their country well. I asked William his predictions for 2016. It didn't take him long to make his list. "I don't want to hurt anyone's feelings". He hesitated. "This could change." I made the point to William that for the 2020 Olympics he'll be nineteen. "I suppose I have a shot in 2020 and 2024", he contemplated. "I'm going to go ahead and go in 2020. Then I can finish my education and start my career. I don't want to be stuck with nothing to do after the Olympics." He said it as matter-of-fact-ly as if he had told me he was going to brush his teeth and go to bed. Congratulations Olympians! Never stop dreaming! As always, thank you for reading Stuart! Hope to see you soon! Great job! There's no doubt in my mind that Willam will one day be sitting on the podium with a medal around his neck. Thank you for believing in him Carlos! This is great! My son is 3 1/2 years old and recently started riding BMX, promptly after a broken arm in March and actually learning how to ride without training wheels in May, which can give a mother a mild heart attack. He is doing great and now has his own fan base LOL! I hope he has huge dreams like your son and they make it to the Olympics one day! Thanks for writing in Lisa! Best of luck to your son! It sounds like you have a future Olympian!